It’s that time of year. The time of year you may well be getting ready to pick a wedding photographer. We do a lot of work with wedding photographers on APW (they make up the majority of our amazing sponsors). And if there is one goal I have for matching photographers with clients, it’s that the RIGHT matches are made. You want a wedding photographer whose work you love, and who’s personally a match for you. Any photographer worth their salt wants the right client for them, not just any client. APW has two in-depth articles on choosing a wedding photographer: one on storytelling/lighting/composition, and another on wedding photography styles. But today, we thought we’d boil it down to our most practical tips and tricks to help you find exactly the right match (or hell, to decide you’re going DIY on your photography). For some wedding vendors, you really don’t need to care about their philosophy. Wedding photography is not one of those places. Chances are, you’re going to spend more time with your wedding photographer than with your maid of honor on your wedding day, so you want to make sure they’re someone you jive with. The simplest way to start is to sort through the vendor listings of a wedding website where you feel like you fit in. (Oh, hi, APW Vendor Directory.) Once you’ve found photographers you’re interested in, look at their About pages. Those pages are carefully constructed to give you a sense of who the photographer is and how they work. Back when our CRO Maddie shot weddings, she had an About page that really laid out who she was very clearly. It said, “As a wedding photographer, I believe that getting married is one of the bravest things a person can do. It’s messy and it’s hard work, and rarely the result of a perfect love story.” That sets out a very specific philosophy that might be really right (or really wrong) for you. Look for written philosophies that feel like they just click, and then see if that feeling continues when you meet with the photographer in person or talk to them on the phone. 2. Do you like the photographer? The trick is to figure out what balance of strengths and weaknesses will work for you. I could care less about photographers being good time managers or delivering my photos late. But I want someone who’s amazingly nice to me and does everything I ask on my wedding day, plus offers to loan me earrings if I lose mine. Lots of people feel the opposite way—they don’t care how nice their photographers are, as long as they’re organized. As you’re interviewing photographers, figure out what your needs and deal breakers are. Just remember that you’re not perfect, and your photographer won’t be either. The photographer-client relationship is personal, so just figure out how best to be imperfect together. When looking at someone’s pricing, be careful to see what’s included in the package you’re looking at. Things like second shooters, additional hours, hi-res JPGs, albums, and engagement sessions may be included in the price quote, or might be extra money. 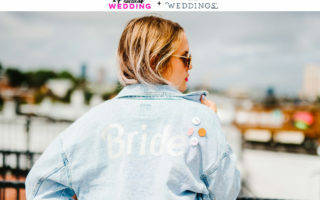 Just make sure you’re not signing up to pay more later for things you definitely want (i.e., having your wedding photos taken isn’t worth all that much if you have to pay $3,000 extra to get the files). That said, things like albums and prints can always be ordered later when you’re not facing the burden of paying for a wedding, so if you love someone’s art, but they don’t include as many bells and whistles with their package, go for the art. While the common advice is that you should pick a photographer based on their style (photojournalism, naturalism, modern traditionalism), you can really skip those buzzwords and just ask yourself if you like the photographer’s portfolio. And then beyond that, when talking to them, figure out if you like the way they work. If photojournalism means they’re not going to take a posed picture of your granny, that might not work for you. Worry less about what the photographer calls their style, and instead worry more about if their photos speak to you and if their style will work within the real-life context of your wedding. We have a great APW article on how photographers in the exact same circumstances can tell very different stories with lighting and composition. If you’re into that sort of thing, you should take a read. But the bigger-picture question is what the photographer’s point of view is. We all view the world in a different way, and a photographer’s portfolio should show you how they set out to document that worldview. Look for a portfolio that reflects the way you want your wedding story to be told. Are you looking for sentimental, hip, documentary, classic, edgy, or something else? Don’t overthink it; you’ll know you like it when you see it. clean: Process true to life. Light and Airy: Dreamy, lots of light, almost gauzy. Film Emulation: This can range from dark and moody, to somewhat less vibrant colors. It’s meant to mimic the look and feel of film (for cheaper). Once you’ve gotten a sense of a photographer’s work through their portfolio, I’d strongly urge you to ask to see a full wedding. Some photographers produce twenty amazing images from every wedding, but the remaining eight hundred images are a bit uninspired. While I tend to think that one to five amazing photos of your wedding is all you’ll use over time, it is important to make sure you’re getting what you’re paying for. A high-priced, experienced photographer should deliver consistently inspired work. A less expensive photographer building their portfolio should deliver you a few inspired images and a solid documentary of the rest of the day. Once your wedding has happened, you’re going to want to get your hands on your photos. Now is the time to figure out how that’s going to work (and what’s going to work for you). Get a timeline for how fast or slow a particular photographer turns around images. Delivery of the full gallery can range from a week to six months. (Important note: Faster isn’t always better. A lot of really talented photographers who want to keep prices low shoot a lot of weddings during the high season. Taking more time to deliver images sometimes gives them the time to deliver you flawless work.) What rights will you have? Will you get hi-res JPGs (hint: you want those), or will you have to order prints through the photographer? What publication rights will your photographer have? If you want control of where your photos are published, ask for that in advance. Sometimes asking photographers to not publish your work means they charge you a little extra, since free advertising is what keeps their costs down. Sometimes that’s worth it. And finally, find out if you’ll get access to your unprocessed images. Photographers generally request that you never publish unprocessed work, but styles change, and in twenty years, you might want them. Or you might not care. Only time will tell. This post originally ran on APW in February 2014.